It's not just about matching top skills. There are dozens of ATS and they all work a little bit differently. Be proactive and make the perfect resume for the specific ATS a company is using by trying Jobscan's ATS Tip feature. Welcome to Jobscan. 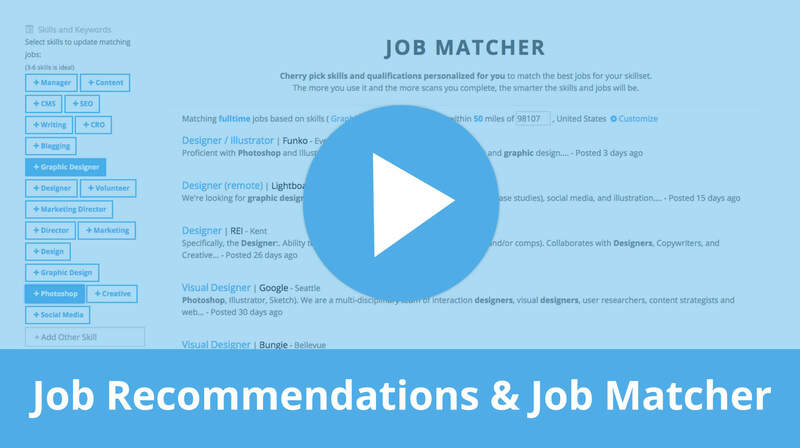 In this video we’re taking a closer look at the ATS Tip feature within the Jobscan resume match report. Jobscan’s algorithm mimics the most common behaviors found in the top applicant tracking systems, or ATS, like Taleo, Greenhouse, Jobvite and dozens more. Many share similar features, but every system has its own quirks. To take your resume optimization to another level, use the ATS Tip feature near the top of the Match Report. Simply input the company name … and the URL of the job application … to receive specialized tips on how to tailor your resume based on the ATS. In this example, we learn that Starbucks uses Taleo and receive bonus tips about file types, formats, abbreviations, keyword matching, and file names. Optimize your resume for the ATS used by over 90% of Fortune 500 companies by heading to jobscan.co. READY FOR THE NEXT VIDEO?